Our “little yellow house” next to the Suwanee Library is anything but little! 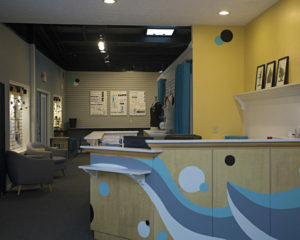 Enter our front door and be surprised by the size of the space! Nestled behind the stone-faced front porch you will find 4 climate-controlled studios, 7 private lesson studios, plus 2 additional studio spaces in a neighboring building, thus creating an impressive SAA campus! 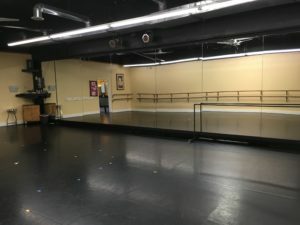 Inside our main building you will find 2 dance studios outfitted with 9 foot mirrors, top-of-the-line sprung floors, double-hung barres and a movable wall that allows the dance floor space to be DOUBLED in size! 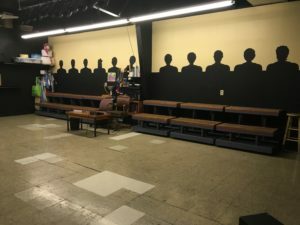 Drama students enjoy exploring their inner thespian in a mini black box theater, equipped with stage lighting and sound system that simulates the stage experience. 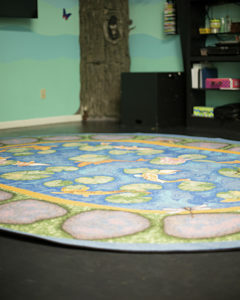 Smaller classes of all disciplines are held in the multi-purpose studio space that is equipped with sprung floors, 9 foot mirrors and a tree to spark the imaginations of our tiny artists. 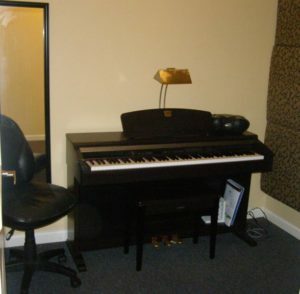 Private music lessons are held in one of 6 individual studio spaces, each equipped with an acoustic piano or a digital piano with weighted keys and sound-proofing wall treatments. 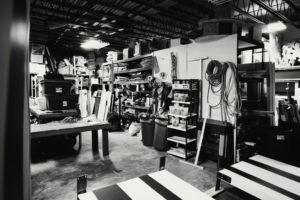 For the development of sets, props and costumes, we have a costume shop and a complete set shop on campus!